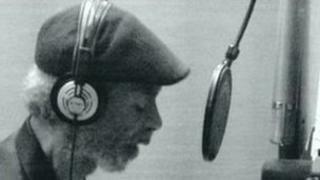 US musician and poet Gil Scott-Heron, often called the Godfather of Rap, has died in a New York hospital aged 62. The cause of his death is not clear, but he is believed to have become ill after returning from a visit to Europe. Scott-Heron's material spanned soul, jazz, blues and the spoken word. His 1970s work heavily influenced the US hip-hop and rap scenes. His work had a strong political element - one of his most famous pieces was The Revolution Will Not Be Televised. Scott-Heron's friend Doris Nolan said the musician had died at St Luke's Hospital on Friday afternoon. "We're all sort of shattered," she told the Associated Press. Scott-Heron was born in Chicago in 1949 - the son of former football player in Britain - and grew up in Tennessee before moving to New York. He had a long-running song-writing partnership with pianist and flautist Brian Jackson, who he met at Lincoln University. The pioneering style he developed while working with Jackson, mixing minimalist percussion with poetry, meant Scott-Heron was often described as the godfather of rap. But the artist himself rejected this title. "If there was any individual initiative that I was responsible for it might have been that there was music in certain poems of mine, with complete progression and repeating 'hooks', which made them more like songs than just recitations with percussion," Scott-Heron wrote in the introduction to his 1990 Now and Then collection of poems. Scott-Heron's music and poetry revealed his deep interest in justice and civil rights, and he railed against the consumer society of the 1970s and 80s as well as the development of nuclear technology. He was among the first artists to use his music to attack the apartheid in South Africa, long before the issue became the focus of a popular global campaign. In "The Revolution Will Not Be Televised", first recorded in 1970, he issued a fierce critique of the role of race in the mass media and advertising age. "The revolution will not be right back after a message about a white tornado, white lightning, or white people," he sang. The song became an anthem for him and several generations of his fans. Lemn Sissay, a friend of Scott-Heron's who produced a documentary on his work, told the BBC he was "a polymath" who "spoke crucially of the issues of his people". "In the late 60 and early 70s, black poets were the news-givers, because their stories were not covered in truth in the mainstream media". But in a 1998 interview with the Chicago Tribune, Scott-Heron warned against focusing on the political aspect of his work. "If you only focus on the political aspects of our work, you change us. We've done 20 albums and not all of the songs on them are political," he said. Scott-Heron also wrote honestly about his own struggles with drugs and alcohol, which saw him spending a year-and-a-half in jail for possession. In 2009, he told the BBC his jail term had forced him to confront the reality of his situation. "When you wake up every day and you're in the joint, not only do you have a problem but you have a problem with admitting you have a problem." He said despite some "unhappy moments" in the past few years, he still felt the need to challenge rights abuses and "the things that you pay for with your taxes". "If the right of free speech is truly what it's supposed to be, then anything you say is alright." He was championed by artists from a range of musical and literary backgrounds - rapper Kanye West paid tribute to him on his 2010 album ''My Beautiful Dark Twisted Fantasy'' by sampling his voice extensively. After a long break from recording, Scott-Heron found success again last year with a new album, I'm New Here. The album was widely acclaimed and brought him to the attention of a new generation. Among the artists immediately paying tributes on Twitter were Talib Kweli and Chuck D of the influential hip hop group, Public Enemy.